Having enjoyed some delightful tea and scones back at Main Camp, then arriving at Nyamandhlovu Pan at 4pm was a stroke of genius. 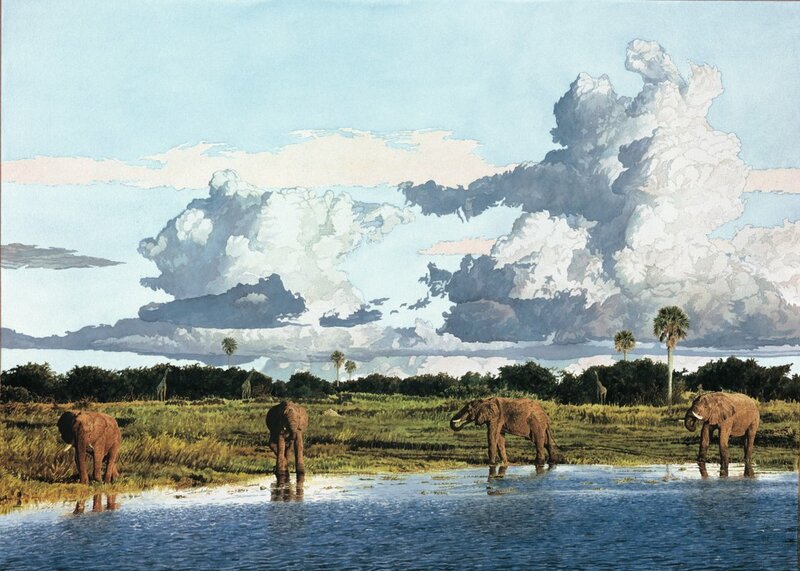 The afternoon was perfect: late slanting sunlight interspersed with some puffy cumulus clouds and blue sky; some elephant grazing on the soft green grass and slurping at the waters edge in between mouthfuls; a soft breeze to ruffle the water and make it slightly more interesting. Who said it was difficult to get all the elements to work together?